You save 30% that's £60.00! Width 75cm, Height 148cm, Depth 38cm. 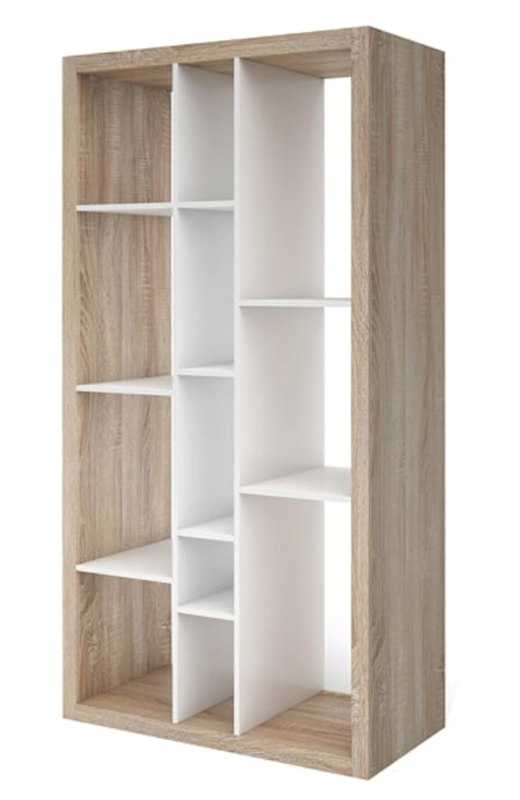 Ruby Tall Wide Bookcase Open Back Room Divider Oak Effect with Matt White. Make your shelving part of the artful aesthetic by letting Oak Effect Bookcase hold all your prized possessions and essentials. Ruby Tall Wide-Open Oak Effect Bookcase includes matt finished, sturdy layout and eye-catching asymmetrical contour shape to the shelves. 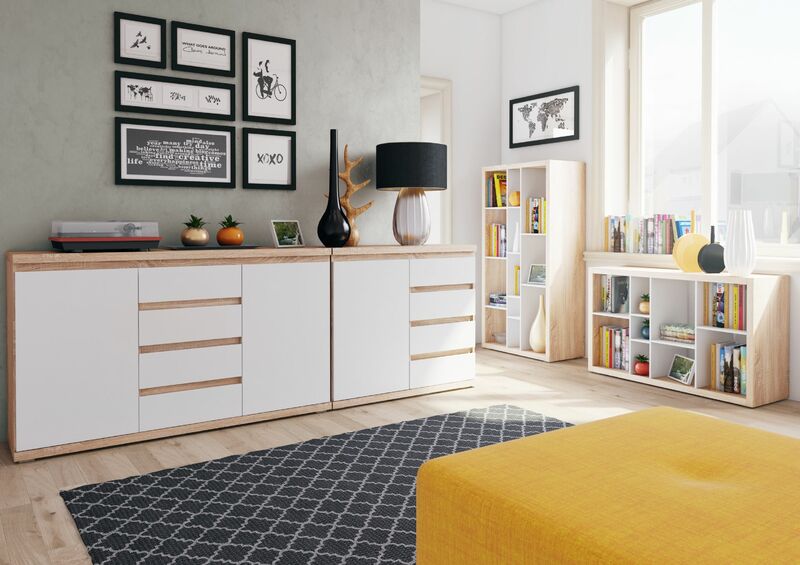 You can use the bookcase as wall mount or as a functional room divider. 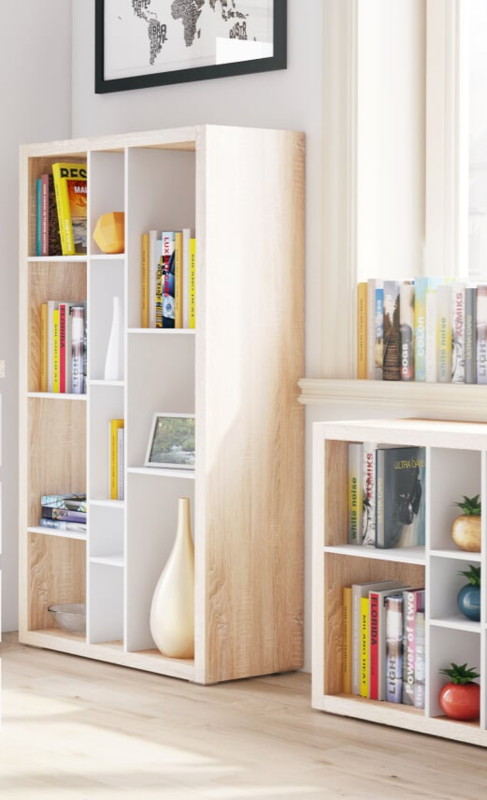 The Oak Effect Bookcase is suitable for any room and is a perfect fit to maximize the storage space. This modern piece of furniture is fully finished on all the sides, with matt finished internal shelves adding beauty. Suitable for any room. Flat packed delivery.